This book was included in the exhibition, "This is Paul Halupka" at Columbia College in Chicago, IL. The whole exhibition was a non-traditional portrait of Paul, so I traveled to his hometown of Huntsville, Alabama to photograph the forest that has grown up behind his childhood home, along the edge of a subdivision. 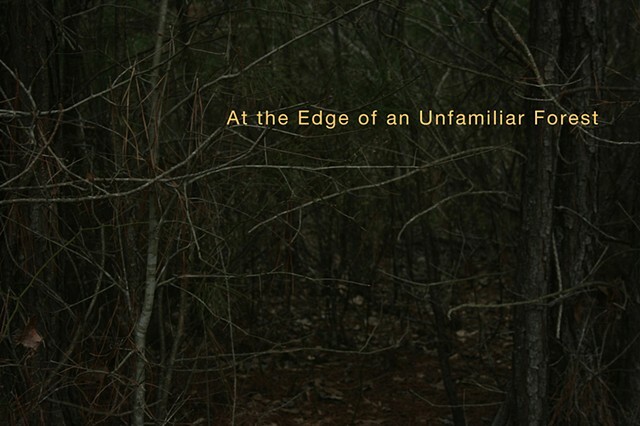 Click here to preview the artist book "At the Edge of an Unfamiliar Forest."